Americans are feeling great about the future of the U.S. economy. Stock markets are at all-time highs. Consumer confidence has shot up. Business owners are feeling more and more optimistic. But none of President Trump's policies have actually been put in place yet, nor is that rising confidence reflected yet in the economic numbers since the U.S. election. One of America's most powerful policymakers is paying close attention. "There's no question that animal spirits have been unleashed a bit post the election," New York Federal Reserve President William Dudley told CNN's Richard Quest on Tuesday. "The stock market is up a lot." Dudley said Trump's main proposals to cut taxes and regulations while increasing spending on infrastructure could spark higher growth. But he expressed skepticism that Trump's proposed budget -- with its emphasis on military spending and cuts elsewhere -- will do much to boost the economy. "If you're increasing spending on military, but cutting spending on discretionary or domestic programs, the net effect may not be very powerful in terms of supporting the economy," says Dudley. Dudley is arguably the most powerful unelected, un-nominated person in America. He helps oversee monetary policy, deciding whether to raise or lower interest rates. Those decisions affect millions of Americans from home buyers to people putting savings in their bank accounts. He is also one of the top watchdogs on Wall Street, regulating the big banks. Dudley is the No. 3 at the Fed, behind Chair Janet Yellen and Vice Chair Stanley Fischer. Dudley and his colleagues recently indicated in minutes from a meeting in January that they believe interest rates could be raised, or tightened, "fairly soon." 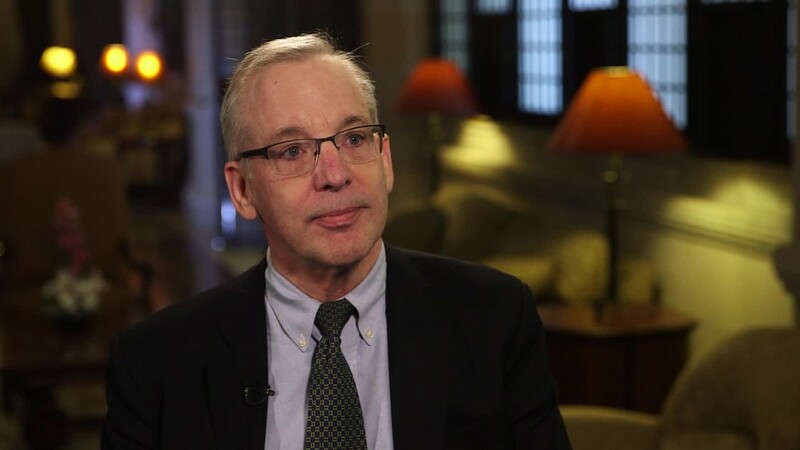 "I think the case for monetary policy tightening has become a lot more compelling," says Dudley. He added, however, that fairly soon doesn't mean "it's a week, a month, a couple months. Fairly soon means in the relatively near future." Fed leaders next meet March 14-15 and most predicted in December that they'll raise rates about three times in 2017. But what Dudley calls animal spirits -- rising confidence sparked by mere hopes of better times ahead -- puts him and other Fed leaders in a bit of a catch 22 when it comes to raising rates this year. Fed officials often say they decide whether to lower, raise or maintain interest rates based on the most recent economic data -- the unemployment rate, inflation, job gains and overall growth. They don't change rates based on what Trump may or may not do, and Trump's policies likely won't affect the economy until 2018. However, the Fed does have to react this year to stock markets, which are up over 13% since the election. Investors are betting Trump will bring forward major tax cuts, slash regulations and boost spending to fix America's roads and bridges. But major risks to the rally, such as a trade war with Mexico, still loom. Dudley argues that if that stock market rally is sustained, it should lead to more American families having a better standard of living. But so far he's not seeing the hard evidence. "I would say so far we haven't seen much effect of the improvement in confidence actually leading into greater spending," says Dudley. "The economy is still on about a 2% [economic growth] track." President Trump has promised 4% economic growth.